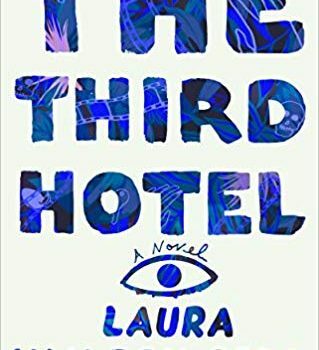 The Third Hotel, Laura van den Berg (Farrar, Straus, Giroux 978-0374168353, $26.00, 212pp, hc) August 2018. 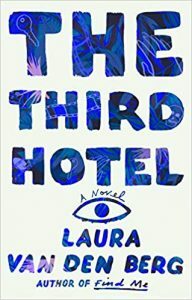 Laura van den Berg’s second novel, The Third Hotel, takes place in Havana, Cuba where Clare is attending the annual Festival of New Latin American Cinema. She’s there on behalf of her husband, Richard, who intended to be at the festival until he was unexpectedly killed in a hit and run incident. Clare plans to follow the path Richard, as a horror film scholar, would have taken, such as meeting with Yuniel Mata, the “director of the first horror film ever to be made in Cuba.” Things get a little weird though when a couple of days into her trip Clare sees a man wearing a white linen suit standing outside the Museum of the Revolution, whom she recognises as her dead husband. It’s become a cliché to compare a piece of art that’s a little surreal, a little off kilter with the work of David Lynch. But in this case, it’s impos­sible not to draw that connection – especially if you love Blue Velvet as much as I do. No, The Third Hotel doesn’t feature an analogue for Frank Booth, but it does have a moment where Clare recalls a hotel room in Omaha where she found a fingernail next to the King James Bible, “so small that it could have only belonged to a pinkie, but fully intact and flawless in its shape.” This might not be the same as Jeffrey discovering a severed ear in an abandoned field, but it has a similar sense of wrongness, of something out of place. If that’s a little subtle, Clare’s decision to spy on her husband, having followed him around Havana, by hiding in the closet of his bedroom (one “with wicker slats”) seems inspired by that memorable scene in Blue Velvet when Jeffrey, tucked away in a closet, watches Frank sexually assault Dorothy. This Lynchian vibe, present throughout The Third Hotel, never feels forced or contrived. Instead, it creates a disconcerting and uneasy atmosphere, only accentuated by Van den Berg’s stubborn refusal to provide straight answers to the question of Richard’s resurrection. 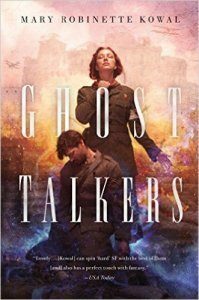 Back in the old part of the city, Clare found her husband standing, inexplicably, outside the Museum of the Revolution, a former presidential palace with immense white col­umns and a bronze tank stationed outside. It’s not poor writing; in fact, I really like the juxtaposition, the intrusion of the impossible amongst the concrete and real. 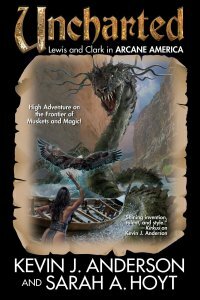 This claustro­phobic style is perfect for a horror novel or psychological thriller, especially when you’re trying to capture a certain Lynchian quality. 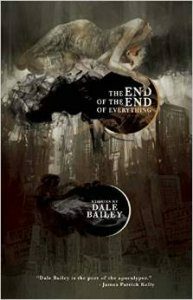 It’s not so great when the subject matter is intimate, personal, and, frankly, emotional, as is the case with this novel. For all its weirdness, resurrected husbands and strange hotels up in the Escambray Mountains where the guests wear matching beige tracksuits, The Third Hotel is a book about a woman failing to cope with the unexpected death of her husband, a death compounded by the fact that they were drifting apart. A story like this only works if there’s a connection between the reader and the perspectives of the affected parties – in this case, Clare. It’s true that we are privy to Clare’s thoughts. There are indeed mo­ments – especially when she admits to herself that she doesn’t know how to grieve – when you feel there’s an epiphany around the corner, but mostly I found the dense prose kept me at arm’s length, prevented me from fully appreciating Clare’s state of mind. The Third Hotel is a smart piece of writing, layered in such a way that I’m sure I missed all manner of references, winks, and nods. For example, the fact that Clare is reading a novel by Patricia Highsmith is undoubtedly significant, even though it went completely over my head (possibly because, and I’m ashamed to admit this, I’ve never read Highsmith, though I did see the film adaptation of The Talented Mr Ripley). And while I did struggle to engage with Clare or invest in her broken marriage, the strangeness of the novel, that feeling of the uncanny, made for a fascinating, if sometimes frustrating, reading experience.